In 1993 a few Elvis Presley obsessed locals decided to run an Elvis Festival in Parkes to honour the King. Now 20 plus years later, the festival has become a firm fixture on the tourist calendar and has subsequently made unassuming Parkes, the ‘Elvis Capital of Australia’. The festival, held over five days each January, coincides with Elvis’s birthday, and attracts tens of thousands of Elvis fans, look-a-likes, and curious voyeurs from all over the country. At the Henry Parkes Museum, alongside the Motor Museum and Antique Machinery Exhibit, fans can indulge in Elvis memorabilia and learn about Henry Parkes (who by the way only briefly visited the town) after whom the town is named. After all those museums, take a perch at the window or slide into a roomy booth at the Paragon Cafe in the middle of town. The café’s name conjures up images of retro digs, but if it were the case here, there’s nothing left bar the high ceilings and cavernous space. The cafe borders on franchise blandness but I am surprised when my Devonshire Tea arrives. The scones are already sliced, and although the tops are a bit dry are not only edible but also quite pleasant, but don’t expect nanna’s quality. 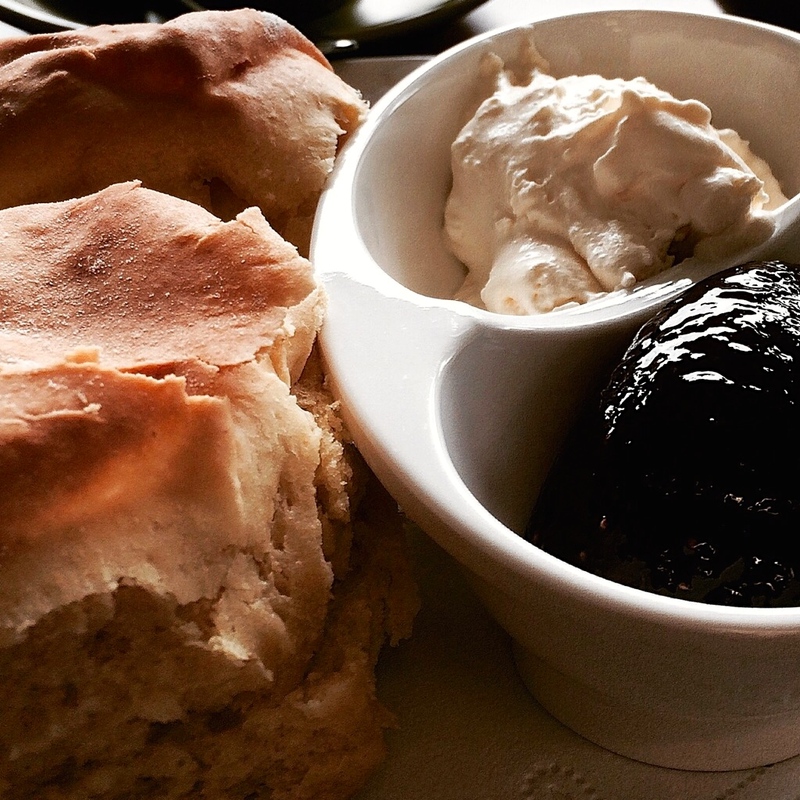 The jam is average but wins points for being thick and not sugar syrup, but the standout is the thick freshly whipped cream, which makes this Devonshire Tea worth a try. Tea: A small range of loose-leaf teas served in a small pot. Overall: An overall good spread at a handy location in the middle of town.